Immerse yourself in the unique culture, buzzing cities and vibrant wildlife in Argentina. As one of the largest countries in the world Argentina provides a variety of extravagant activities and awe-inspiring scenery accompanied by energetic people. What plug sockets are used in Argentina? 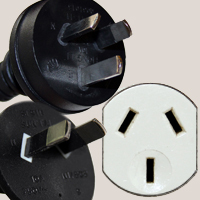 In Argentina, the plug sockets used are type I, the following pictures show the outlets and plugs needed. When traveling from the UK you will need an adapter for types I. What voltage & frequency is used in Argentina?